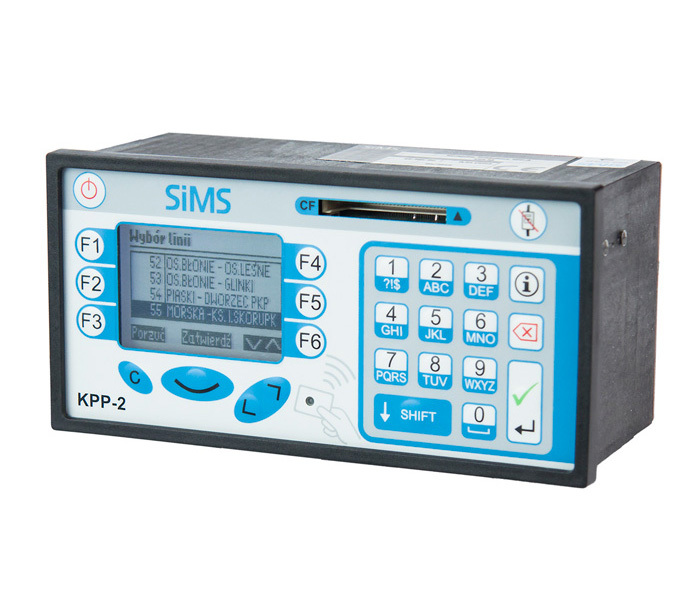 KPP-2 onboard computer was designed for the purpose of integration of information display controller with vehicle operation parameter recorder. Work of an experienced team of designers produced a technologically advanced central unit, managing all components of passenger information system, recording all types of events transferred by vehicle electronics. One of the basic tasks of KPP-2 is control of electronic information displays, punches and ticket machines. The device also allows for counting so-called passenger streams, control of mobile image and sound recorders, broadcast of voice announcements and geographic location of a vehicle. Another essential function of KPP-2 computer is operation of travels based on timetables planned by the carrier. Timetables for the entire fleet are created with the use of dedicated software and delivered by radio. From the point of view of a user, he should create only one data package, which is sent to the entire fleet. KPP-2 also allows for reading and recording of all types of information on the condition of the vehicle. The device has been provided with a number of interfaces communicating with vehicle electronics via CAN bus as well as digital, time, impulse and analog signals. The solutions mentioned above allow for recording of parameters selected by the user, for instance fuel consumption, power usage, rapid acceleration and braking, recording the distance travelled, speeding, time of door opening, and many others. All information gathered is saved into internal computer memory (Compact Flash card) in the form of a specially formatted file. These messages can be read out with the use of dedicated software, which processes files downloaded from KPP-2 and presents them in the form of reports. Thanks to this solution, all information contained in the controller is protected and available only to authorized people. Delivery of files from KPP-2 to the user’s computer is done automatically with the use of proper software and hardware. KPP-2 onboard computer is also a very important link in the Dynamic Passenger Information System. It provides all necessary information on the current location of the vehicle and the time the vehicle will reach a specific stop. Based on this information, departure and arrival times are updated on electronic stop boards. We deal with the same situation during determination of priorities for traffic lights, i.e. the so-called “Green Wave.”. An additional advantage of this device, which should be highlighted, is its compact design. Unlike other devices, which are available on the market, the computer presented by us has been designed as one unit. 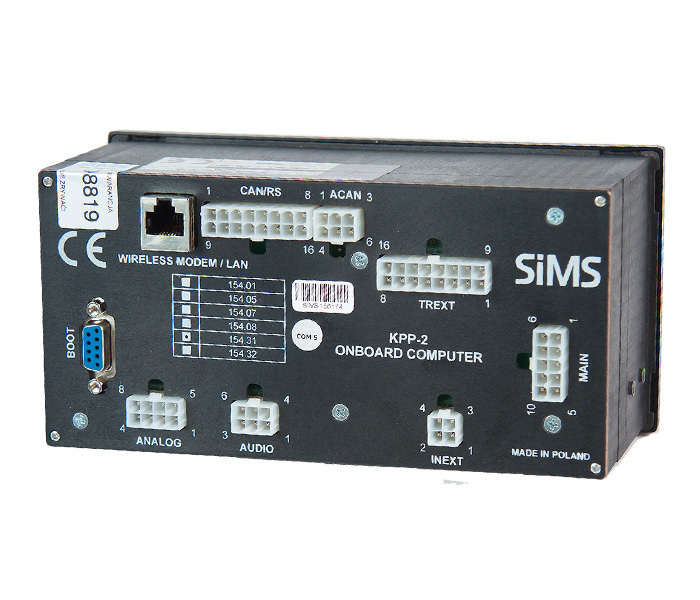 Small size of KPP-2 allows to incorporate it into the dashboard and connection of all wires in one place.